Mowing. Just before green-up, mow slightly lower than summer mowing height. If possible, use a bagging mower to collect trimmings and dead material from winter dormancy. Thatch Removal. 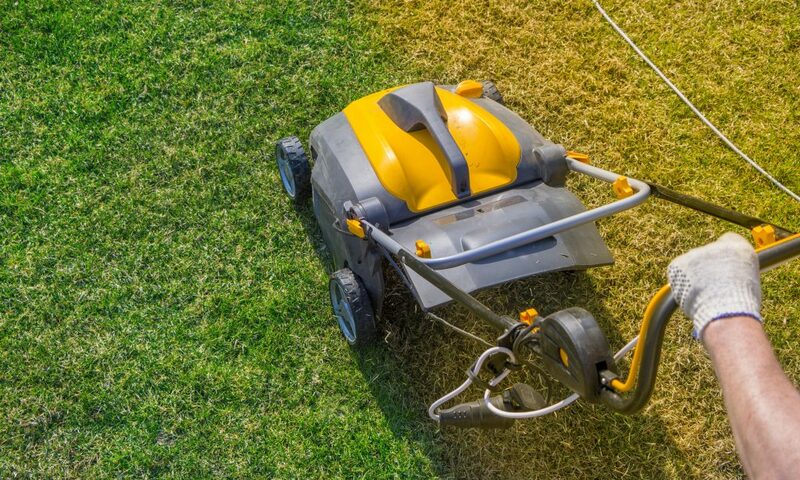 If the thatch layer is greater than ½ inch, consider using a dethatcher or vertical mower to remove it. Aerification. When frost potential has passed, core aeration and dethatching can be combined to lessen soil compaction. Weed and Insect Control/Fertilizer.Always carefully follow manufacturers directions when treating soil and turf. Irrigation.Avoid dry desiccation by watering to prevent excessive dryness. Every season brings important maintenance to keep your turfgrass beautiful and healthy, don’t hibernate on these winter tasks!